I have done some stupid scheduling over the last decade of organizing the Chicago Neighborhood Bike Tours. I once scheduled the Loop Night Tour during the Taste of Chicago only to discover that our starting spot was completely inaccessible on the night of the tour. I have also managed to schedule tours on the same day as Tour de Fat and Bike the Drive and brilliantly picked out dates that coincided with major neighborhood events for the neighborhood we were touring. More than once. My method of scheduling has changed as a result and I now consult various bike events websites, bike club calendars, city websites, and websites for neighborhood organizations and chambers of commerce to try to prevent these self-inflicted errors. This year, for the first time, I scheduled the entire year at once. This was convenient for poster printing and forward planning, but had the disadvantage of not allowing me as complete of a calendar of events to compare against, not that my immediate scheduling error was directly the result of this. 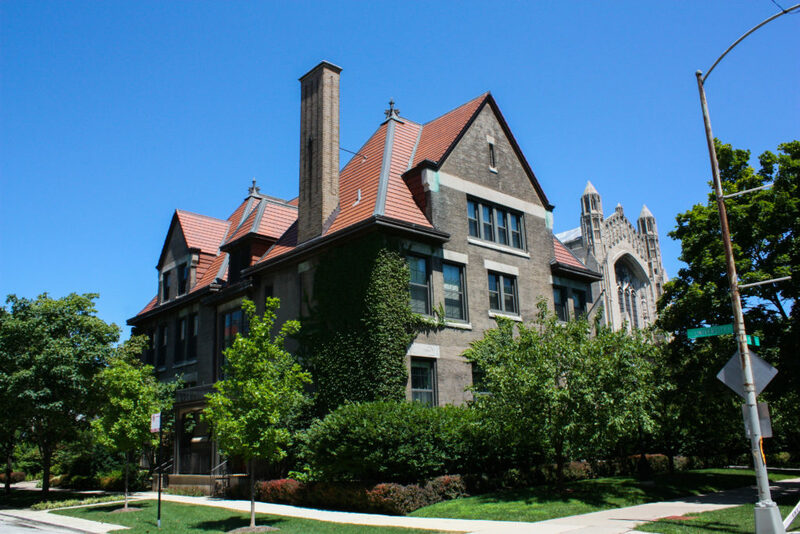 What I did NOT do in this most extreme and recent example of scheduling dunderheadedness is consult the University of Chicago’s website or calendar. This would have been a great thing to do, given that this Saturday was supposed to be the Tour of Hyde Park, but before it was that, it was already scheduled as University of Chicago’s Convocation Weekend. Since large sections of the campus, the Midway Plaisance, and numerous major streets and points of interest are going to be shut down and closed to traffic, and thousands of visitors will be coming to Hyde Park to celebrate their family member’s graduation, it is not possible to do the tour on Saturday. As a result, we will be postponing the ride for two weeks and hold the Tour of Hyde Park on Saturday June 24, 2017 at 11:00 AM. I will notify all ticket purchasers, send out my email newsletter, and I have updated the Event page, Facebook and Chainlink pages in addition to this post. If you are able to help spread the word to anyone you might now that was planning to come, that would be VERY much appreciated. My apologies for any inconvenience and my sincere thanks to season ticket holder A.M.C. who alerted me to this problem. I hope to see many of you in a couple of weeks at the rescheduled Tour of Hyde Park. I’ll be the one with the big red face. 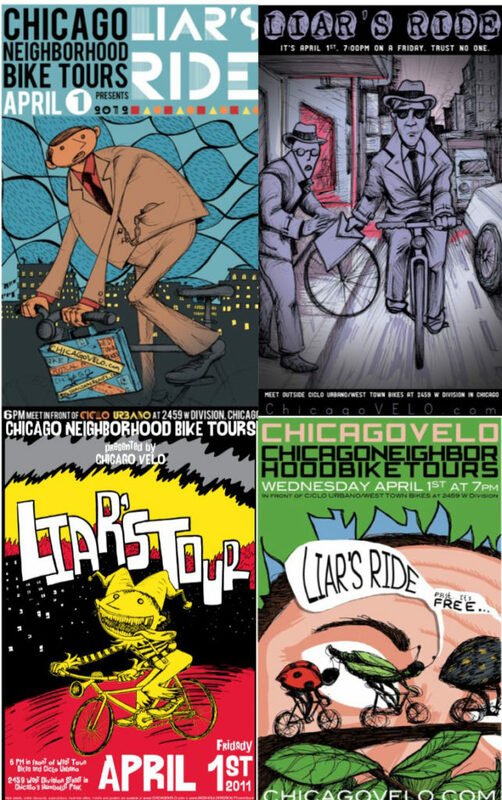 This entry was posted in Chicago Velo Blog and tagged Hyde Park, Scheduling Snafu on June 6, 2017 by Lee Diamond. For the billionth year in a row, we will gather again on April Fool’s Day for the annual tradition known as the Liar’s Ride. It is on this day when I trade my architectural/historical tour-guide hat for my liar’s cap. It fits better anyway. This year, it has proven exceptionally difficult. First, the watering hole known as Fischman’s in Jefferson Park, the ending site of many of our Liar’s Rides has closed. Part third-shift bar, part neighborhood gathering spot as well as being the site of some of the finest beer options in the city, the bar closed last year in a rent dispute with the owner’s relatives that owned the building. I can say for certain that while my liver is better for it, we as a nation, and in particular, the NW Chicago, are far, far worse. While the good news is that they will reopen soon at nearby Six Corners in Portage Park, (NOTE: THERE IS NO SUCH THING AS SIX CORNERS IN WICKER PARK YOU POSING, THIEVING, MISAPPROPRIATING JERKS! ), the bad news is that it won’t be before Saturday. The ending point will instead be a nice little wine bar in Kuala Lumpur. You’ll love it. Malaysia is lovely this time of year. The other difficulty in running the annual mobile lie fest is the extraordinary competition in our land today. It can leave a liar feeling…..inadequate. In all humility, I confess that I simply can’t compete with the fraudulent, dishonest, deceptive, backbiting, false, hyperbolic, libelous, slanderous, inaccurate, guile mendacity that springs so easily from….certain quarters. After all, this is an age when the average news article linked on social media must contain the phrase “Not the Onion” on a regular basis. Honestly, what is a satirist to even do anymore? Let alone a cycling satirist. Come out on Saturday to find out. You will find out along with me. 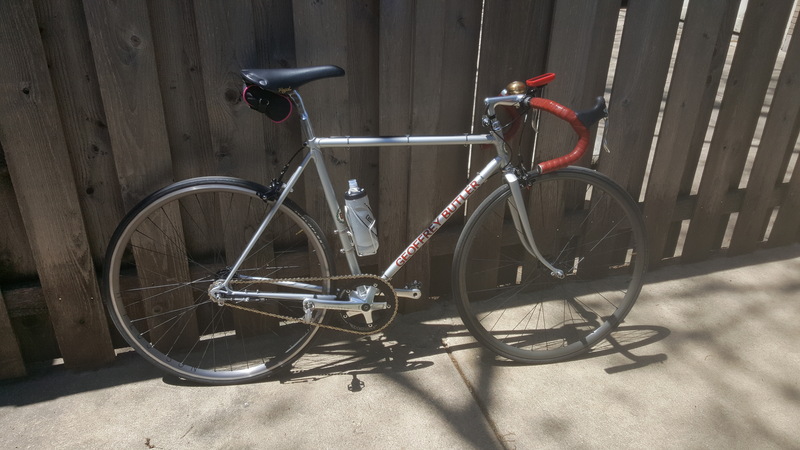 This entry was posted in Chicago Velo Blog and tagged Damned Lies, Liar's Ride, Lies on March 27, 2017 by Lee Diamond.